Previous post in this series: Why are there still monkeys? I want to get this one out of the way first because it’s another matter of definitions. 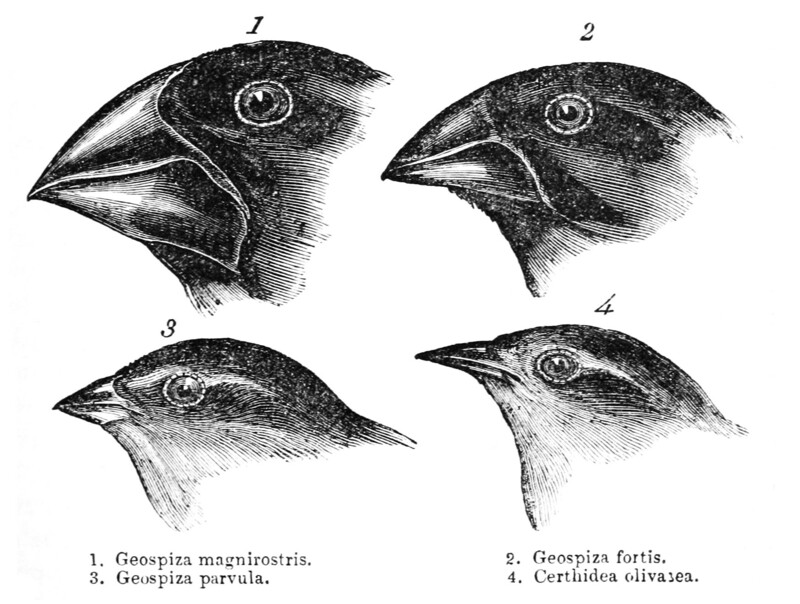 It’s not exactly a PRATT—a purported argument against evolution that is easily refuted. It’s more of an argument from incredulity. (“This seems unbelievable; therefore it is false.”) In practice, it seems to be used more as a rhetorical device to ridicule evolutionists for believing supposedly ridiculous things, than it is for actual evidence, but the idea is the same. Well, the first teaser trailer has dropped for Star Wars Episode IX: The Rise of Skywalker. I can react a little to the trailer itself, but we don’t really know much yet. (That’s kind of the point of a teaser.) It looks like Rey is fighting Kylo Ren, Lando is back, and they’re going to visit the wreck of one of the Death Stars, but that’s about it. The big question is, “Who or what is Skywalker?” If Rey a Skywalker after all? Will Kylo take on the mantle Skywalker? Will Luke become the Ghost King of the Galaxy? I feel like maybe it was originally meant to be Leia, but without Carrie Fisher, that wouldn’t work so well. One popular theory is that Rey will officially end the Jedi order and start a new Skywalker Order that will hopefully have some more sense than the Jedi. Personally, I hope this is what they do. You may disagree with me, but I liked the way they wrote off Rey’s family and made the Force more inclusive in The Last Jedi, and this would be a fitting continuation of that. (For the record, I do not approve of Snoke being a nobody. Totally different situation.) And if they hadn’t switched directors and been under a lot of pressure to backtrack from The Last Jedi, I’d believe it, but…I have a bad feel about this. With J. J. Abrams (whom I generally like) back in the driver’s seat, I have a feeling it’s going to be a more traditional Chosen One thing. And that brings me to what I really wanted to talk about. What do I think should happen in Episode IX? Or rather, what would be best for the franchise as a whole? My opinion is that even if Episode IX “fixes” Star Wars in the eyes of the fans, I’m not so sure it would be the best thing for it. I mentioned at the beginning of the year that I never really know what to do about blogging about science news. I don’t really know what to say that hasn’t already been in all the news articles. This week’s first ever photo of a black hole has been a perfect example of that. It’s been really big news for a science story, which I find very encouraging. But that also means it’s that much harder to figure out what to say that isn’t in the news articles. Worse yet, I haven’t actually been paying attention to the news articles because I watched the science press conference on Wednesday, which covered it better. And finally, I’m discovering with this story that I often don’t have time to move quickly enough to put out a blog post in the current news cycle. So basically, I’m still trying to find my niche with this stuff. I’m not sure where that’s going in general, but I had an idea for this particular story. I want to pivot away from the big news of the first photo of a black hole because if you’re interested enough to be reading this, you probably know all about it already. Instead, I want to turn to something you might not have heard about: what’s coming next. (Some articles have addressed this too, but I think I have more to say on this point.) Because even though they took this photo with a virtual radio telescope as big as the Earth, there’s still room to improve it. There are actually four different ways to improve upon the technique used to take this image, all of which NASA scientists are planning on using. This means that in a year or two, we could have a significantly better picture of a black hole, and a few years after that, we could have a much better one. Let’s go through them. 1. Observe at a shorter wavelength. The Event Horizon Telescope (EHT), which took the photo, is a super-array of eight radio telescope arrays in six locations that create a virtual mirror across the Earth. Each of these telescopes can observe at a wide range of wavelengths. The M87 black hole was specifically imaged in extremely high frequency radio waves with a wavelength of 1.3 millimeters. (That’s about 231 GHz.) Now that they know it works, the researchers want to observe at a shorter wavelength of 0.87 millimeters. The sharpness of the image is inversely proportional to the wavelength, so this would make it 50% sharper. That’s a pretty good improvement by itself. 2. Build more radio telescopes. The EHT has already added another telescope to its network, in Greenland, which will produce an even longer baseline (the maximum distance between telescopes) and give them an even larger virtual mirror. It’s only about 10%, but for interferometry techniques like this, it’s not just size that matters. The fidelity of the image—the accuracy and suppression of distortion—increases with the number of observing sites squared. Increasing from their previous six observing sites to seven means a 36% increase in image fidelity. 3. Put a radio telescope in spaaaace! Need a bigger virtual mirror, but you’re all out of room on Earth? Just put a telescope in orbit. Not only would a space telescope give you a longer baseline for higher image resolution, but it could observe over its entire orbit, sweeping out a much bigger section of the virtual mirror and giving much higher image fidelity. And I don’t just mean low Earth orbit, either. Putting a telescope in a geostationary orbit would be four times better. 4. Look at other black holes. Okay, this won’t exactly give us a better picture, but we might by chance find one that’s more photogenic. There are other black holes that the EHT can observe. The black hole in the center of our own galaxy, Sagittarius A*, is much smaller than M87, but it’s also much closer (by about the same amount, in fact), so it should look a little bigger. The EHT has already looked at Sgr A*, but unfortunately, being smaller means it also changes faster, making it harder to get a clear picture, because they take a long time to make. Still, expect to see this one in the next couple years. Are there other black holes to look at? Well, M87 and Sgr A* are by far the best, but check out this paper, which lists nearby black holes by their apparent size in the sky. M87 is 42 microarcseconds wide, somewhat larger than expected, but Sgr A* is bigger still, at 53 microarcseconds. The next biggest black hole is the one in the Andromeda Galaxy at 19 microarcseconds. The Event Horizon telescope should just barely be able to manage that, but with that space-based telescope I mentioned, it’ll be easy, and there should be half a dozen more black holes that are observable. With a sample size of nine instead of one or two, we should be able to learn a lot more about black holes and the environments around them. All of these developments are definitely or probably coming in the next few years, so I’m excited to see what new things we learn about the universe from them. This week, we saw the big screen debut of one of the less famous heroes in the comic book pantheon…Captain Marvel. Wait, what? Well, okay, the name of the movie is Shazam! (exclamation point included), and Shazam is also the name of the comic book character, although it’s only vaguely referred to as such in the movie. However, the original name of the character, before Marvel Comics even existed, was Captain Marvel. I personally vaguely remembered Shazam as a short-lived 80s cartoon that I saw in reruns once in a while as a kid. But now, as part of DC’s push to compete with Marvel, he’s been updated for the big screen, and for once, they nailed it. Shazam! is easily as good as Wonder Woman, if not better. Okay, I know what you’re thinking. “What are you talking about? It’s the end of March!” Or maybe, “Is this an April Fool’s joke?” No, it isn’t. I want to talk about New Year’s resolutions precisely because we’re a quarter of the way through the year. Specifically, I want to explain how I’m doing with mine and how I think my methods can be helpful to others, even when it’s not January. Studies say 80% of New Year’s resolutions fail by mid-February. Well, it’s been twice that long, now, and I’m still going with mine. What’s my secret? I was careful and specific about how I designed them. And yes, there are plenty of guides online about how to make good resolutions, but I want to give my perspective as someone who didn’t actually think to look at those guides and came to this point by trial and error. 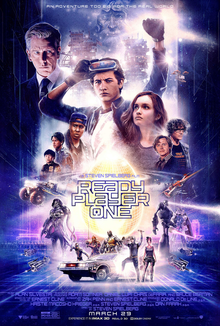 Last year, I reviewed the movie Ready Player One, a cyberpunk story about a teenage boy trying to beat an evil corporate mogul to the most valuable video game Easter egg in history. To do this, he must solve seemingly impossible puzzles, fight a literal army of corporate drones, and even dodge real-world assassination attempts. I loved this movie. I thought it might possibly be the best film of 2018, and that’s against some very stiff competition. More recently, I listened to the audiobook the movie was based on, and I thought the book was just as good. 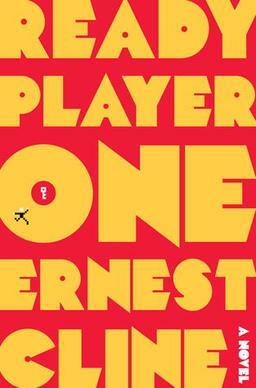 I was going to write a post (or maybe even several) about how Ready Player One really did a movie adaptation right. Fans of books usually find themselves disappointed when a story is translated to the big screen, but I thought they really nailed it…but then something happened…I re-watched the movie. When I saw the movie again, I was shocked to see it was not as good after reading the book. The second half was still really good, but the first half was far too rushed, and it felt completely different. So instead, I’m going to try to analyze what happened between book and movie. The weird thing about this is that I did not think the book was wildly over-the-top better than the movie at first. Before my re-watch, I thought they ranked about the same. It seems as if something went wrong when they adapted the book to the screen that wasn’t evident if you haven’t read it, but now that I have, I just can’t look at the movie the same way anymore. Celebrate by eating pie. Preferably at 1:59 and 26 seconds. Or memorizing digits of pi. Or reading science fiction because it’s also Einstein’s birthday. I recommend Contact because it involves both Einstein-Rosen bridges (wormholes) and pi!